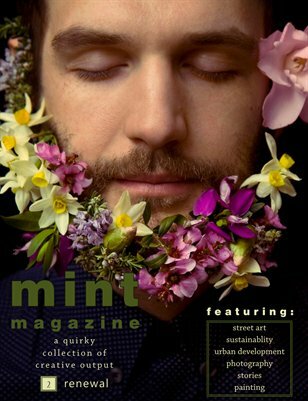 Mint Magazine is a monthly publication in which creative people can exhibit their work, based each month around a different theme. A quirky collection of stories, artworks and other creative outputs. 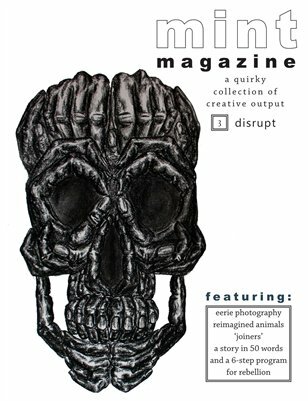 This issue's theme is "disrupt". A quirky collection of stories, artworks and other creative outputs. 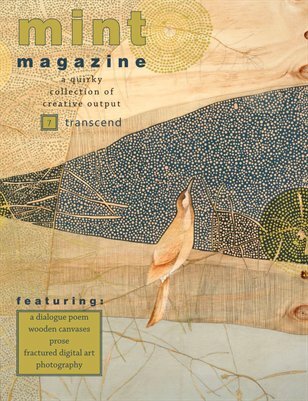 This issue's theme is "transcend". A quirky collection of stories, artworks and other creative outputs. 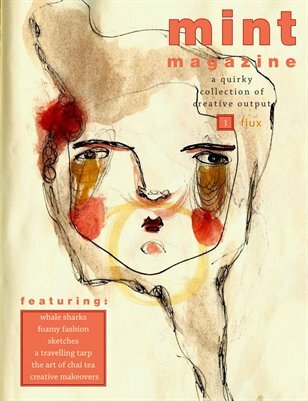 This issue is inspired by "the unraveling". A quirky collection of stories, artworks and other creative outputs. 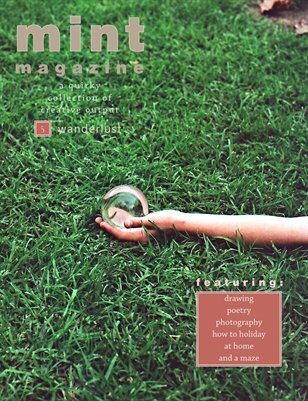 This issue is inspired by "wanderlust". A quirky collection of stories, artworks and other creative outputs. 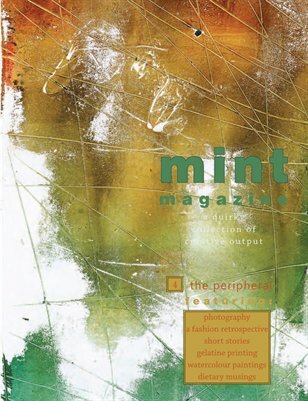 This issue is inspired by "the peripheral". Print + Digital: $9.40 Digital: Free! A quirky collection of stories, artworks and other creative outputs. 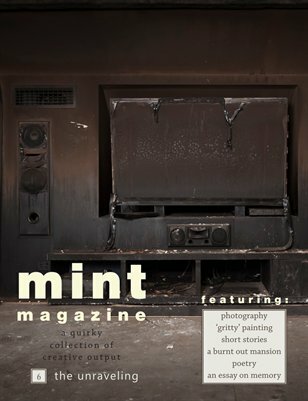 This issue is inspired by "flux". A quirky collection of stories, artworks and other creative outputs. This issue is inspired by "renewal". A quirky collection of stories, artworks and other creative outputs. 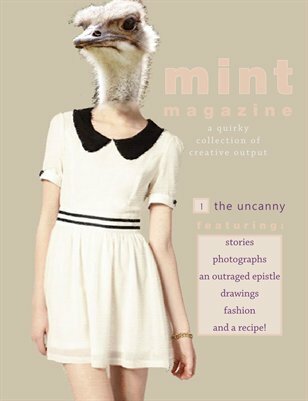 This issue is inspired by "the uncanny".